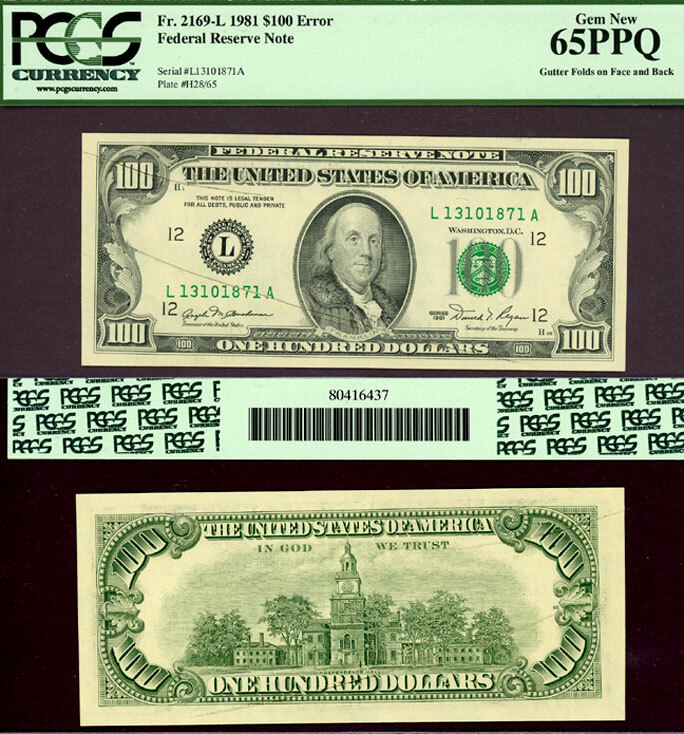 1981 $100 FR-2169-L PCGS 65 PPQ "ERROR"
PCGS GEM New 65 PPQ - Fr-2166-I Buchanan-Regan - From the San Francisco district. Great GEM note that has excellent margins good color and "Premium Paper Quality". PLUS its an ERROR note with gutter folds on face and back.